Tackle outdoor Maintenance with kids by your side, helping not hurting! Use This Free Printable Outdoor Kids Chore checkList so they you both know what to do next. How do I get my kids to work outside? Being 6 and 7 of 9 children, we were raised on a mini farm out in the boondocks and yard work wasn’t an optional chore; we knew every Saturday morning, before our cartoon sesh, we would have to KP the yard. Our farmer dad had a task list for each child and we simply got to work; once our checkmarks were complete, we got to watch cartoons! 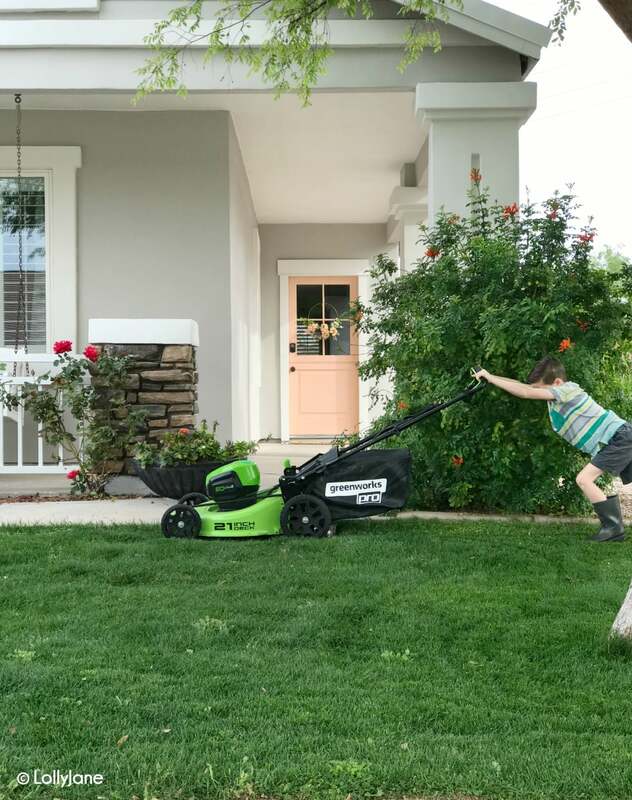 It was a win for our parents to get the yard cleaned up for free (haha) and win for us that we learned new skills, got outside moving, and a strong work ethic was instilled in us from a young age. 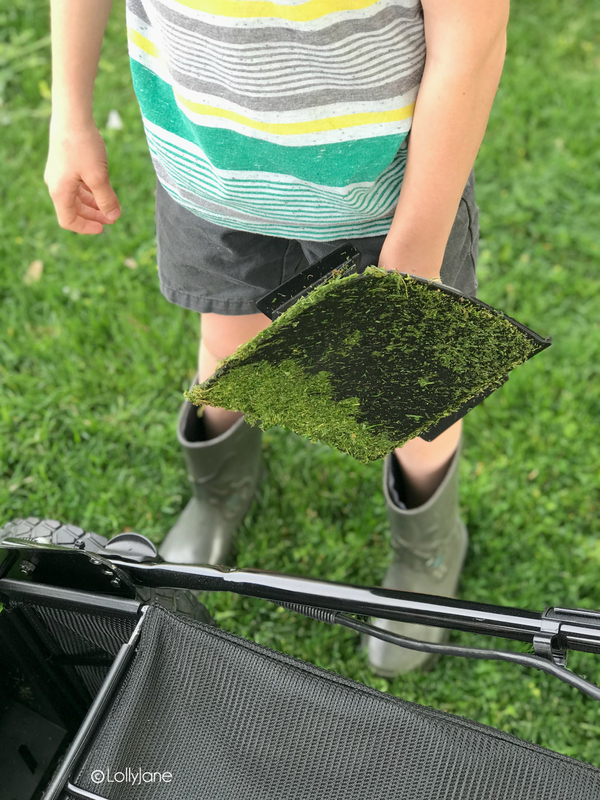 Finding chores for our own kids that they enjoy doing allows them to feel like they are giving back as they are able to “carry their weight” around here. 😉 The key to getting kids to work outside is to have a list handy of things they can accomplish on their age and skill level, and to provide the necessary tools for them to use. The most important thing is to provide the proper gear for kids to help with outdoor maintenance. Often this can simply be a pair of kid size work gloves (like these) and maybe a little tool set (like this) for them to feel like they’re legit. 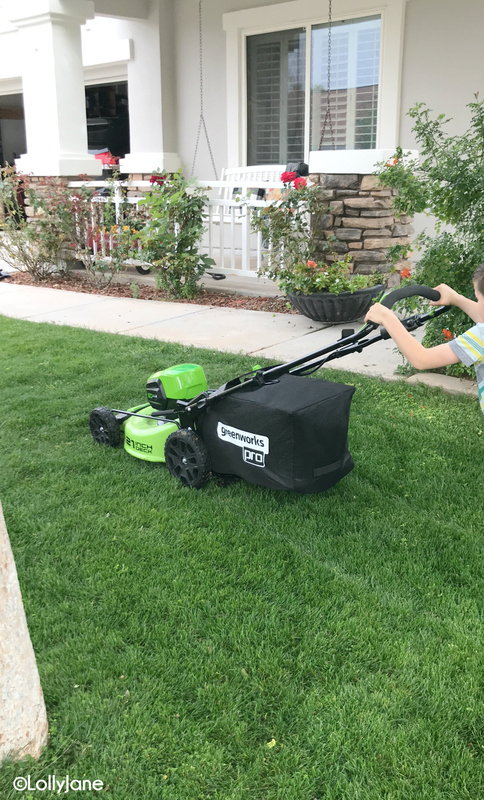 😉 With our small yard in our community, we decided to find a push mower that is quiet (since we’re in close proximity to our neighbors) and my young sons handle it better without the loud noise of a running mower blaring in their ears… this tip makes for a happier kid who is willing to work versus being grumpy! 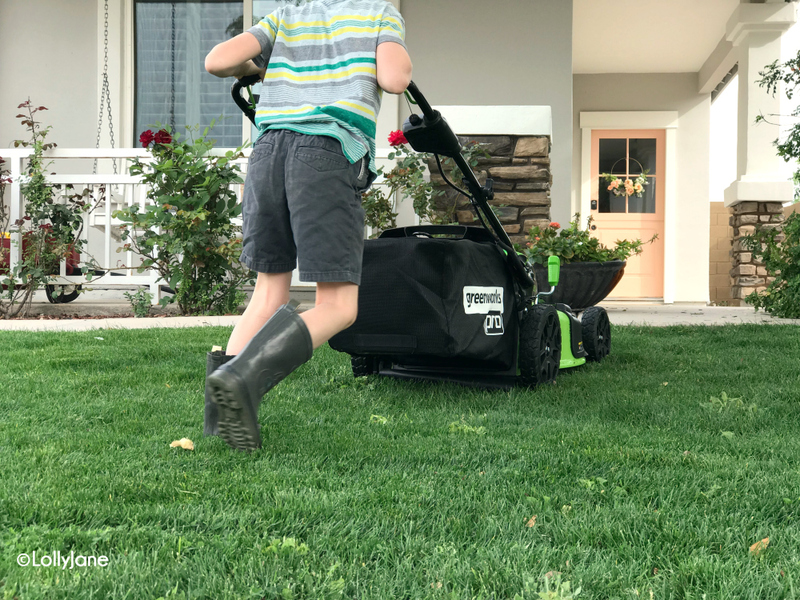 We personally love the Greenworks 21″ cordless lawn mower. Besides the calm quiet motor (which allows for early morning or late evening cutting without irking neighbors!) my 60-volt Greenworks mower has an interchangeable battery so I can skip the hassle of gasoline/oil/etc. 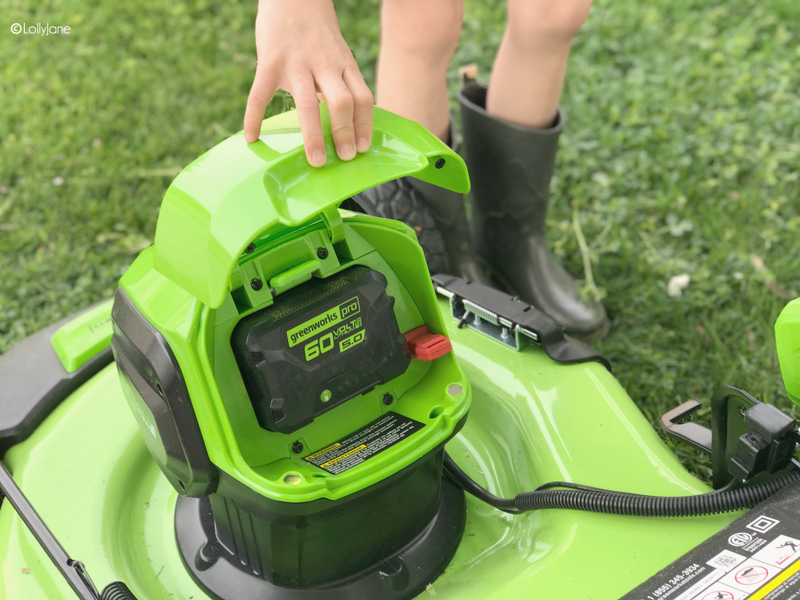 The battery is compatible as well with our Greenworks cordless backpack blower, so convenient to just have 1 battery and not mess with different sizing! 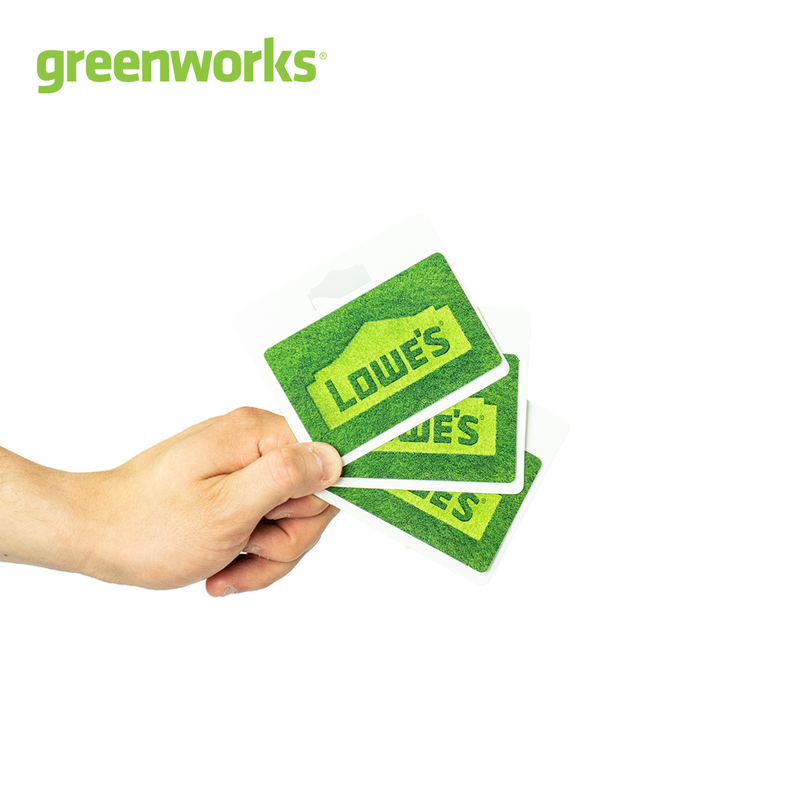 (Extra batteries and chargers are available at Lowes.) My very favorite feature for my children is that it has a push start engine that provides quick, effortless startups– no more swearing under my breath with pull-cord starts. Ha! My kids have learned to pop the battery out after each use and slide it in the charging station so it’s ready for another 60 minutes of run time for the next cut. 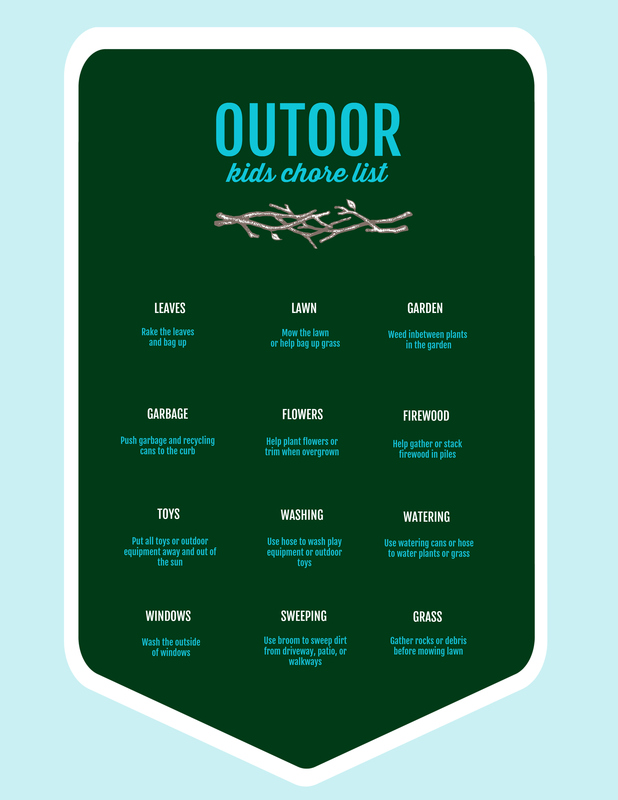 Click the link below to get your free printable outdoor kids chore list. Just print + have kids cross off chores each week or laminate the list to reuse indefinitely! 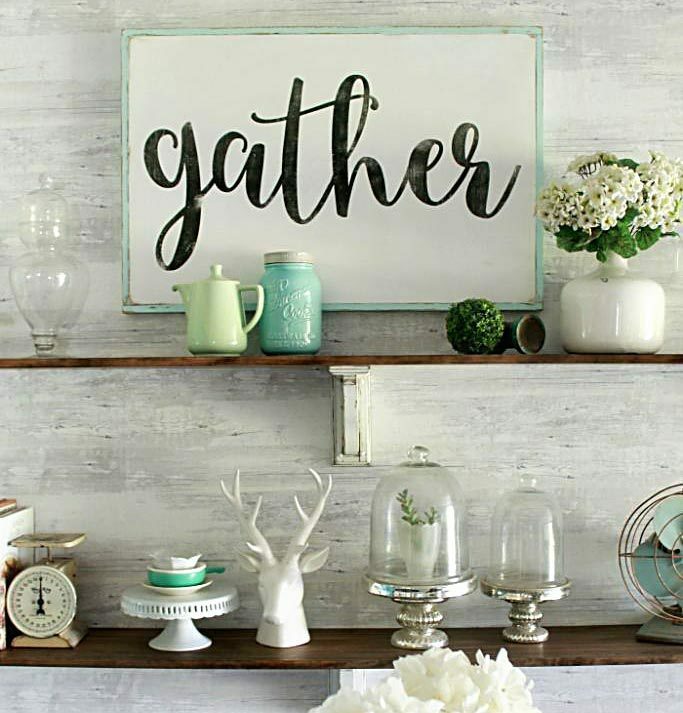 PS: Greenworks Tools is generously hosting a giveaway, along with Thistlewood Farms, LollyJane, Remodelaholic, Love and Renovations, French Country Cottage, and My Sweet Savannah. Simply head on over to their Instagram feed to enter to win! We love that these tools are built for the whole family to handle. Especially in our kids’ current stage, they’re always in the yard and are old enough to pitch in.